OMAHA, Neb. 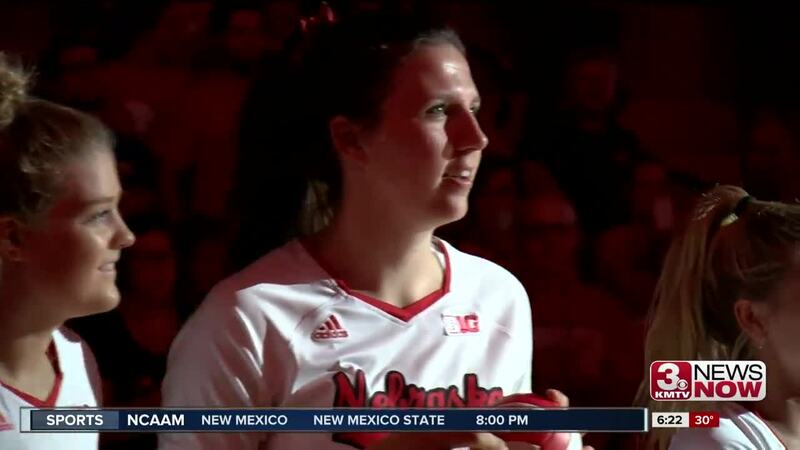 (KMTV) — The AVCA honored both Nebraska and Creighton volleyball on December 4. The Huskers had three players receive recognition in the All-North region. Michaela Foecke, Kenzie Maloney and Laura Stivrins were named to the All-Reigon Team while freshman Nicklin Hames was an honorable mention. Foecke becomes the third Husker to receive the honor all four years. She earned her fourth straight AVCA All-Region honor, becoming the third Husker in school history to earn it all four year along with Sarah Pavan and Kadie Rolfzen. By making the all-region team the players are eligible for All-American consideration. Creighton got some love too in the All-East region. Head coach Kirsten Bernthal Booth was named Coach of the Year for the third time in four years. Jaali Winters was a first team selection for the fourth year in a row. Madelyn Cole and Taryn Kloth also received first team honors.